A new mountain has formed at the Holuhraun eruption site, that used to be a flatland. This is the result of accumulating lava around the erupting craters for about 1.5 months. 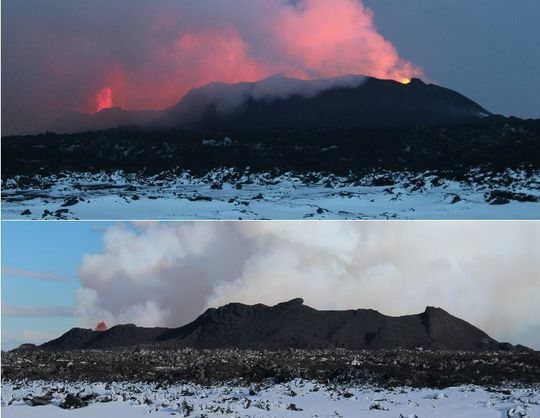 Holuhraun fissure seen from the west; lower photo from 28 Sept but the top one 15 Oct 2014. Notice increased hight of central and southern section of the rampart. Photo: Morten S. Riishuus. 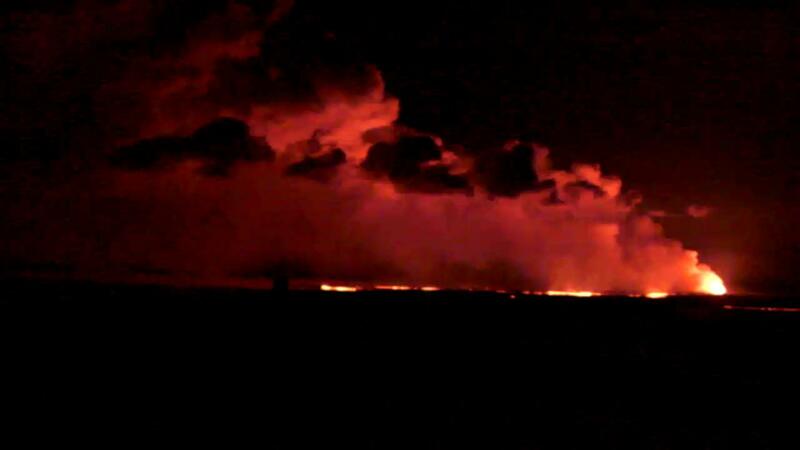 Holuhraun fissure seen from North (Mila webcam) on the 28th of September.